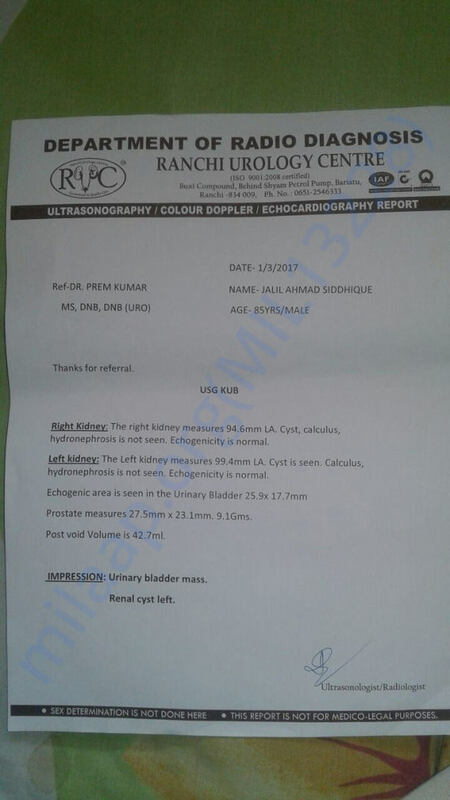 I am raising fund for one of my relative (Mr. Jalil Ahmed Siddiqui) suffering from mass growth in Urinary Bladder (have a look on the medical reports attached). Doctors have advised him immediate surgery. Cost of the surgery will be around Rs 50,000. 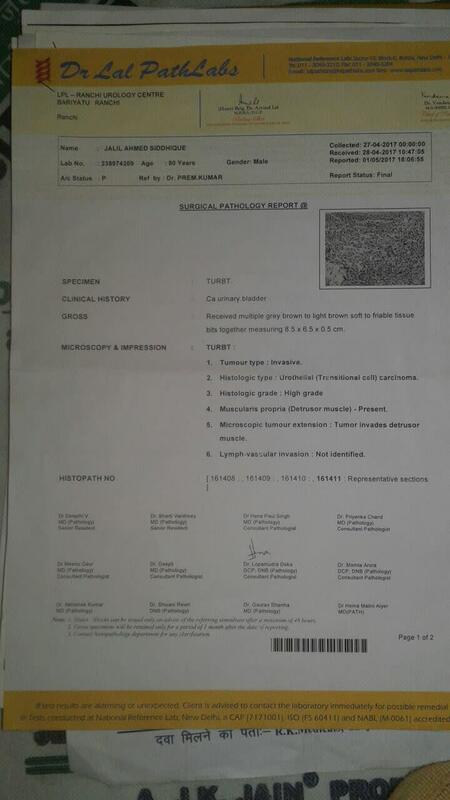 Unfortunately he don't have any written proof by the doctor mentioning the exact amount for surgery. 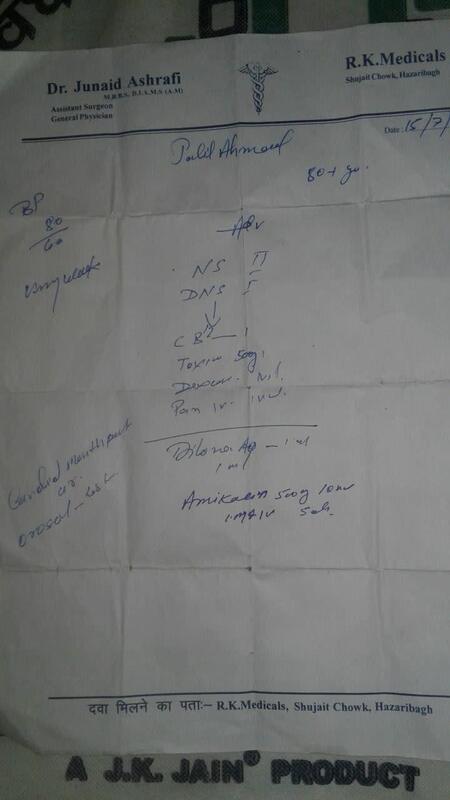 Details of the expense for the surgery was shared causally. 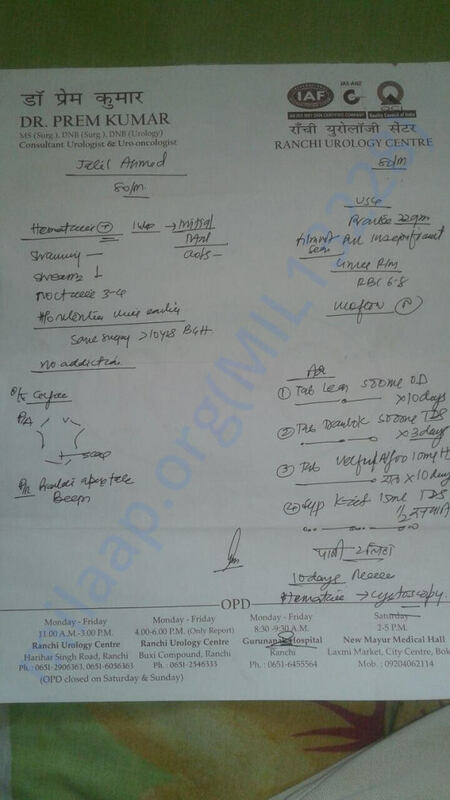 Treatment was going in Ranchi Urology Center, Ranchi, Jharkhand. As of now, due to lack of money he has been brought to his home town, Hazaribagh, Jharkhand. He don't have any source of income. Some how his son is taking care of the family. With your well wishes and financial support we can save his life. It is with a heavy heart I inform that Mr. Jalil Ahmed has left us. Today, at 4:10 PM he breathed for the last time. He was 83 years of age. Since a couple of days, he was unconscious. 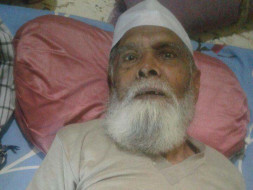 His funeral will be held tomorrow in his native place Hazaribagh at 10:00 AM. May the Almighty grant him peace. The funds have been utilized for the treatment so far. We respect the effort by MILAAP team and prayer and support by all the donors. Thank you all so much. It has been long i am reaching you. 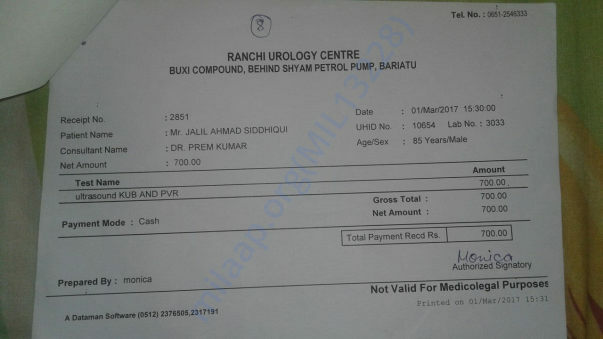 With your contribution and prayer Mr. Jalil Ahmed went for the surgery couple of months back. 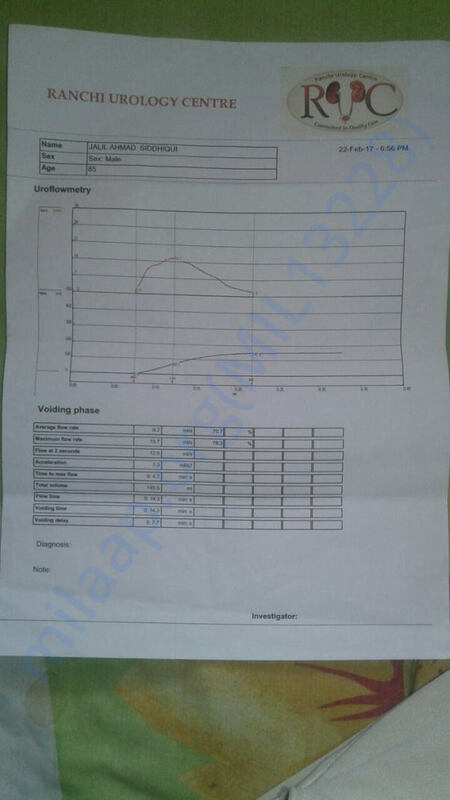 Later on his biopsy report came. Unfortunately he has been detected with Cancer. Doctors told nothing can be done due to his old age. At present he is unable to move, eat and mostly surviving on saline water and blood transfusion with costs Rs 500 every alternate date. We need to put him on saline water and blood trip till his last breath. His friends and relatives have been informed. Things could have been well if he was operated year back. We thank all the donors for their support and prayer. Mr. Jalil Ahmed and his Family. 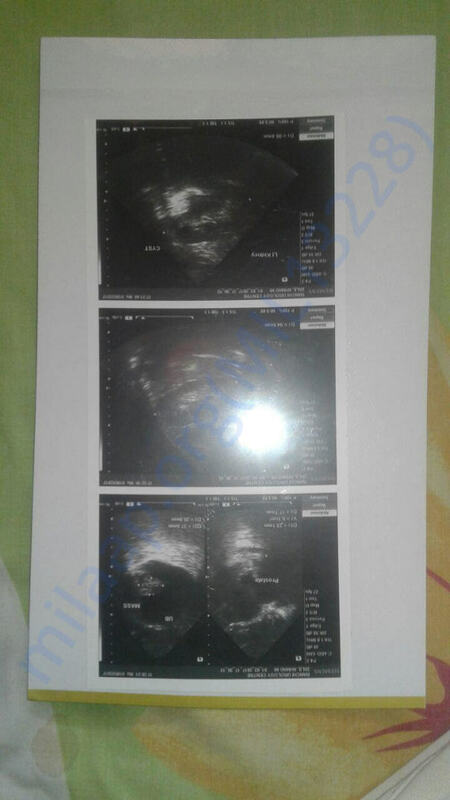 He is doing good but still, he is very week and taking medicines continuously. We hope he will regain his health soon. May God shower his blessing ... get well soon.